Twenty-three Poky Pedalers enjoyed a delightful evening of bicycle riding and pizza eating on yesterday’s Poky Pizza Pedal. We again realized how this simple combination results in colossal Bike Fun. 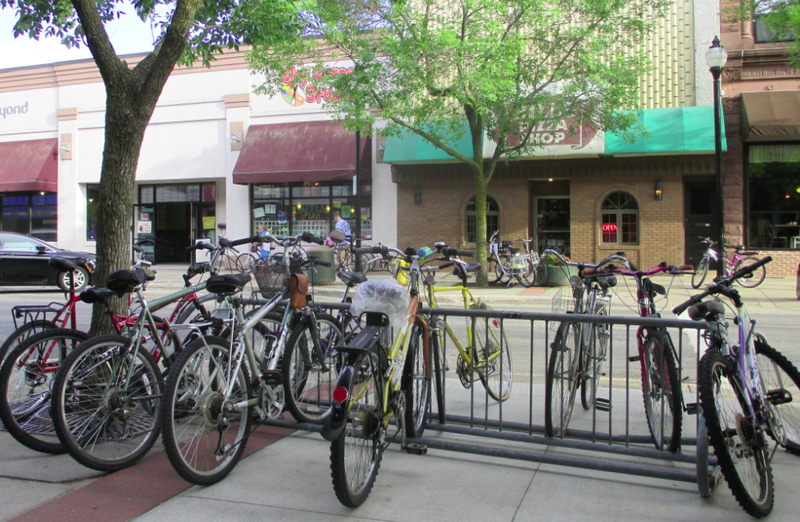 Our gathering spot was Point Area Bicycle Service in downtown Stevens Point. Once we were ready, we headed out on a 4-mile loop that roamed the neighborhoods just north of downtown. We seemed to have the streets to ourselves as we rode through this low-traffic area, which made it that much more comfortable to admire the steady stream of charming homes that we passed. Our last leg in returning downtown took us past scenic Bukolt and Pfiffner Parks, which provided us with captivating views of the Wisconsin River. Once downtown, we headed to Bill’s Pizza on Main St, our pizza destination for the evening. Bill’s graciously allowed us to use their upstairs dining area and served up a bunch of their delicious culinary creations for our pizza feast. 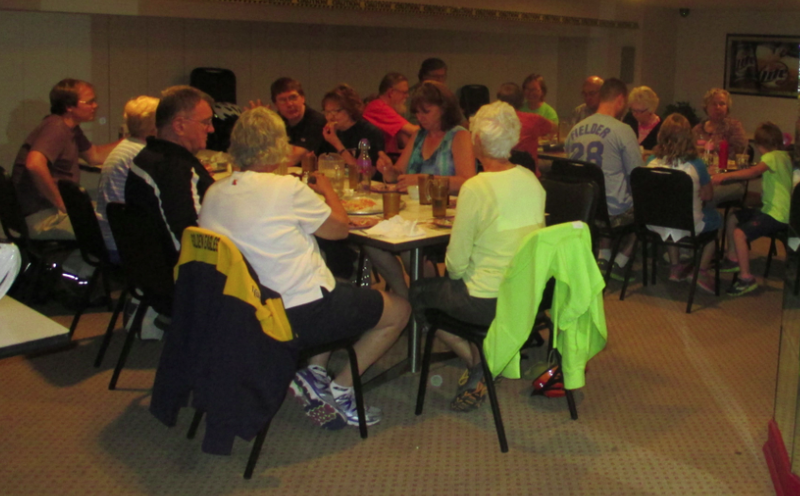 This was a great setting for our group of Poky Pedalers to cap off an evening of Bike Fun. I want to thank all the staff at Bill’s for their wonderful hospitality. As we move through the summer, there is still much more Bike Fun to share. Poky Pedalers can look at the Upcoming Poky Pedals webpage to plan your next few weeks, as well as the 2015 Bike Fun Calendar for your long-range scheduling. There are Poky Pedals to appeal to all ages and tastes, so make your necessary arrangements to avoid missing out on any Bike Fun.